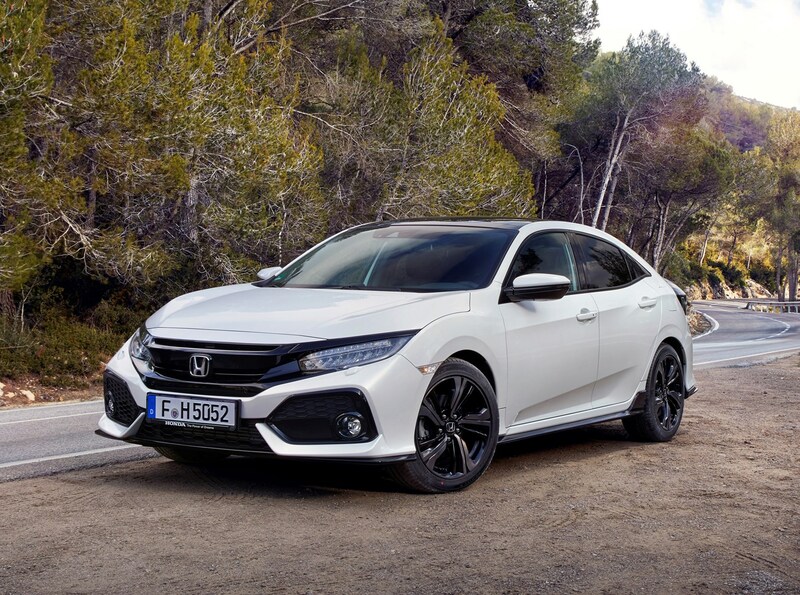 Which Honda Civic Hatchback is best for me? There’s a diverse engine range on offer (three petrols including the 320hp Civic Type R, and a 1.6-litre diesel), however customers won’t be faced with a particularly hard choice when it comes to picking the right powerplant for them – there’s a broad spread of power options. Those on a budget will, unsurprisingly, find the low list price and fuel consumption of the 129hp VTEC Turbo particularly appealing. A 10-gallon fuel tank coupled with claimed average fuel economy of 55mpg should mean a theoretical range of around 550 miles. In reality, you need to work the engine hard, so expect closer to around 400 miles on a tank. 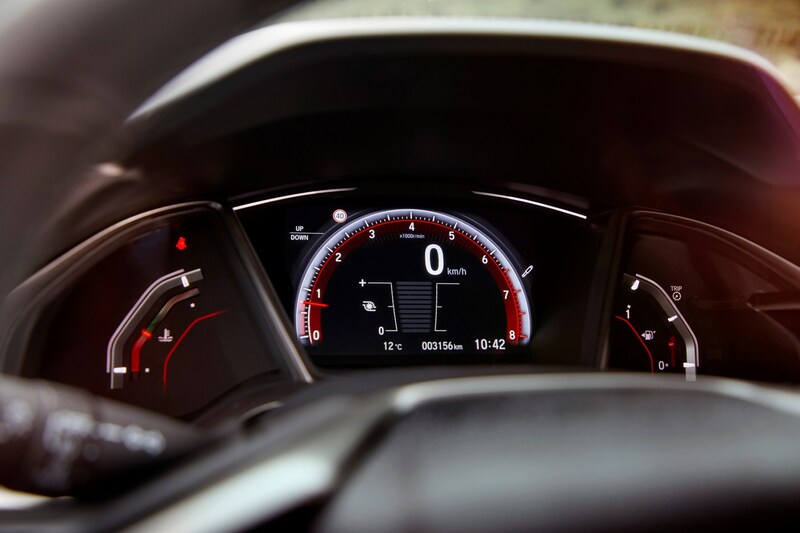 For company car drivers the 1.0-litre model’s low BiK rating will make the most financial sense, however extra torque of the 1.6-litre i-DTEC will be tempting for motorway mile-munchers. The 120hp 1.6-litre i-DTEC diesel engine boasts claimed 80.7mpg fuel economy and CO2 emissions of just 93g/km. 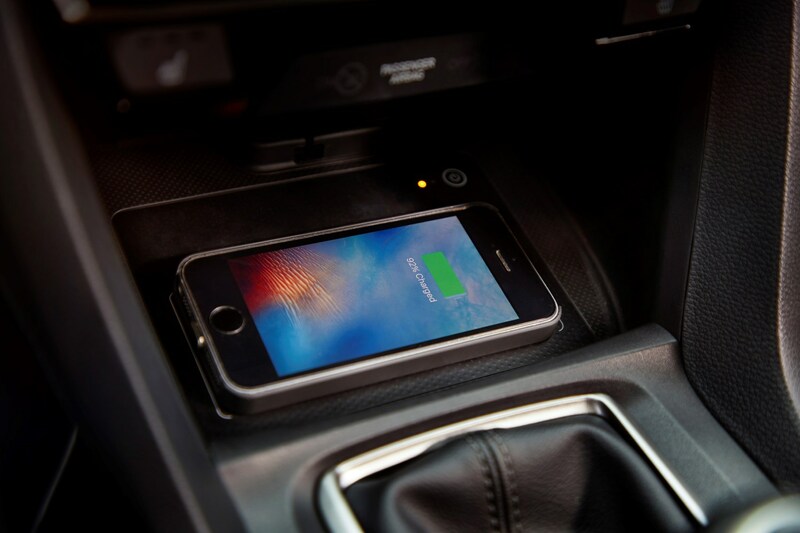 What does this mean for company car drivers? The 1.0-litre turbo petrol remains the cheaper option, but the diesel’s more relaxed nature and superior fuel economy will appeal. 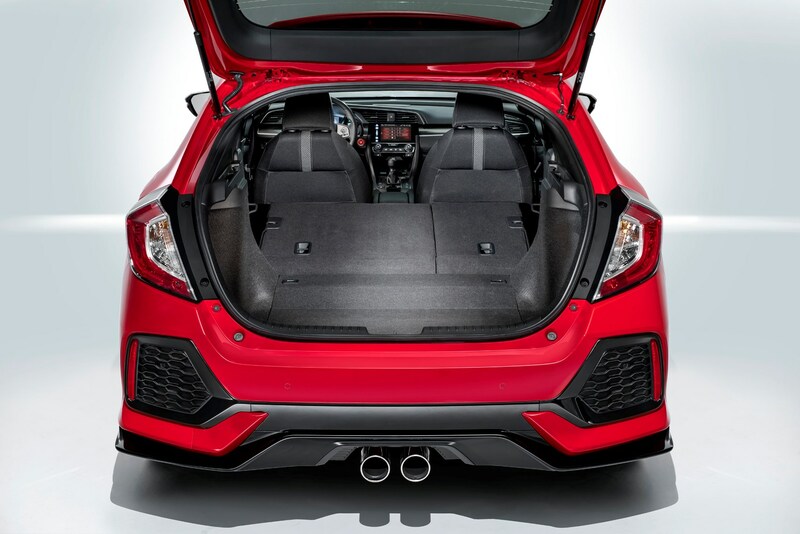 Performance fans need only look towards the 320hp Honda Civic Type R. Its performance will be far in excess of any other model in the range and should put a smile on the face of any performance car enthusiast. The 1.0-litre turbocharged three-cylinder under the bonnet of this Civic might well be the entry-level engine, but it packs a punch with 129hp that feels nippy and responsive when paired with the six-speed manual gearbox. 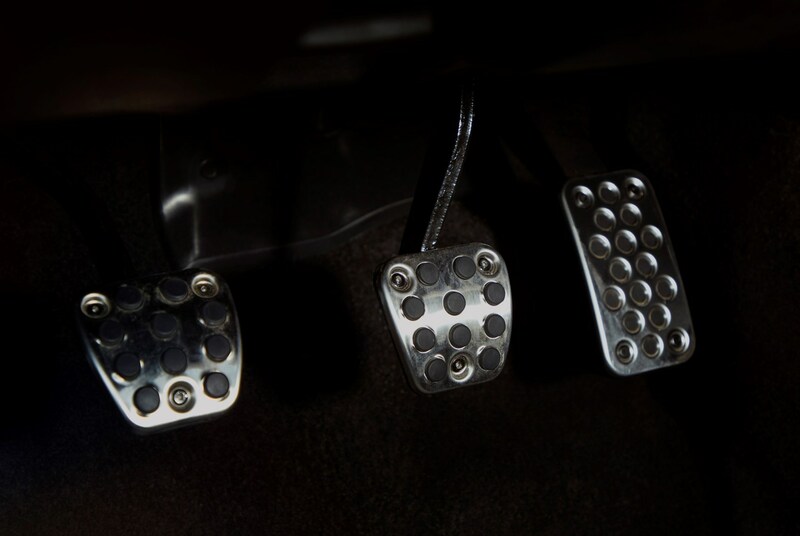 The growly engine note is a typical three-cylinder noise which sounds characterful for a while, but making as much noise as it does could become grating after a while. As soon as the revs begin to rise the noise fills the cabin. The good news is it calms down at a cruise and is no more than a hushed rumble. The six-speed manual gearbox isn't as slick as we'd hoped from a Honda, with a longer throw than expected and less of a direct feel than previous Hondas. Still, the gearlever falls nicely to hand which adds to the experience. In the bends, the Civic feels very well balanced, with a really eager feel when turning into a corner, and an excellent ride that doesn't feel too firm or too floaty. It strikes a happy medium that makes the Civic enjoyable to drive when the roads get a bit twisty, but it's also nice that a bad road surface doesn't ruin the fun. EX trim is packed with standard equipment, with all the luxuries you could possibly want packed into its spacious cabin. 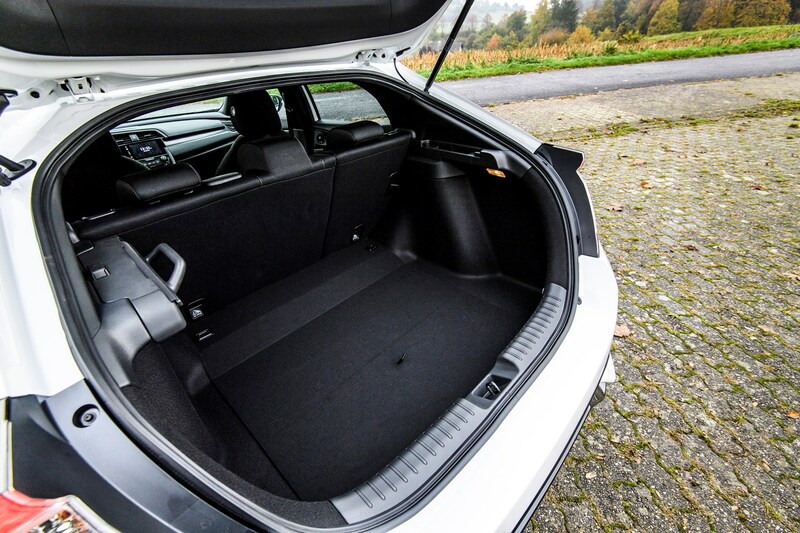 It's low to get into, but once inside there's plenty of room to spread out in, and the boot is simply huge for a car of this size, while extra practical touches will make life much easier, such as a hidden compartment under the floor and a sideways sliding load cover that never gets in the way. See how the manual Civic compared with the CVT when it lined up against our long-termer in the same spec. 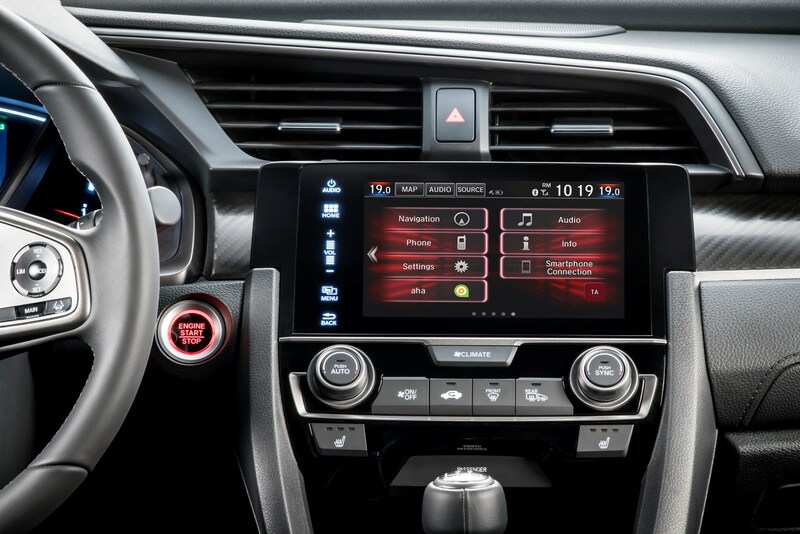 The lower driving position of the latest Civic is perfect for the Type R. The controls all offer perfect feedback, too. The automatic rev-matching on downshifts works well, doing an excellent job of smoothing-out gearchanges. But it's worth noting that you can turn it off. As you'd expect from a great hot hatch, the stability is impressive – on the road you get nowhere near pushing it to its limits. The mechanical limited-slip differential works well without dominating proceedings, and the steering relays great feel. 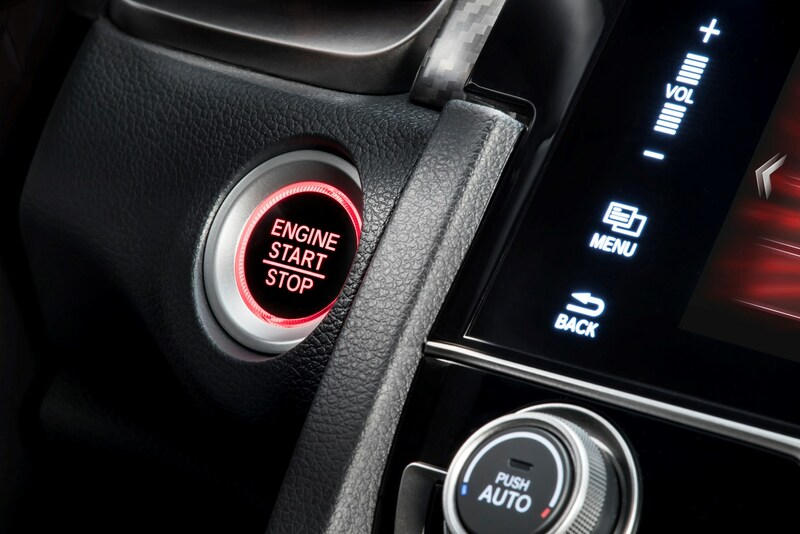 There are three driving modes, with a new Comfort mode for urban work (lighter steering, softer suspension – it works well) and a middle Sport mode as the default setting. Comfort mode is good for day-to-day driving. On UK roads, it's so effective that you're likely to want to keep it in Comfort mode pretty much all the time. 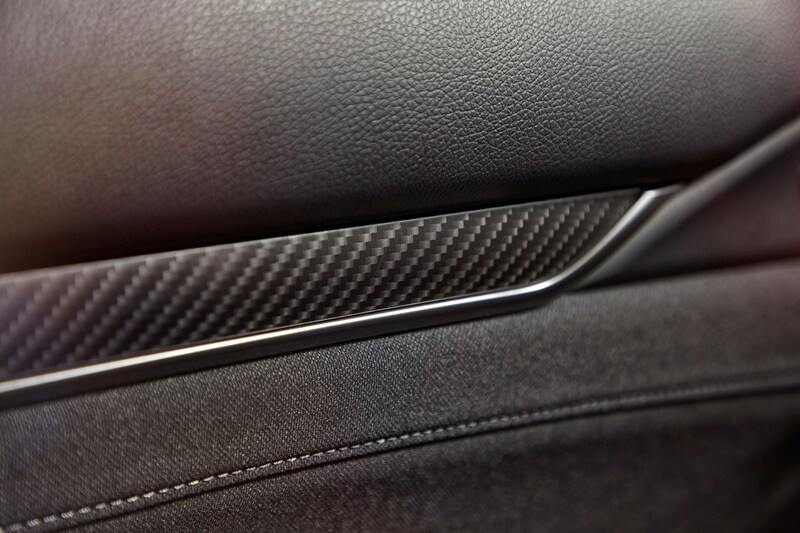 It's still firm, and never floaty – and represents the best overall compromise. 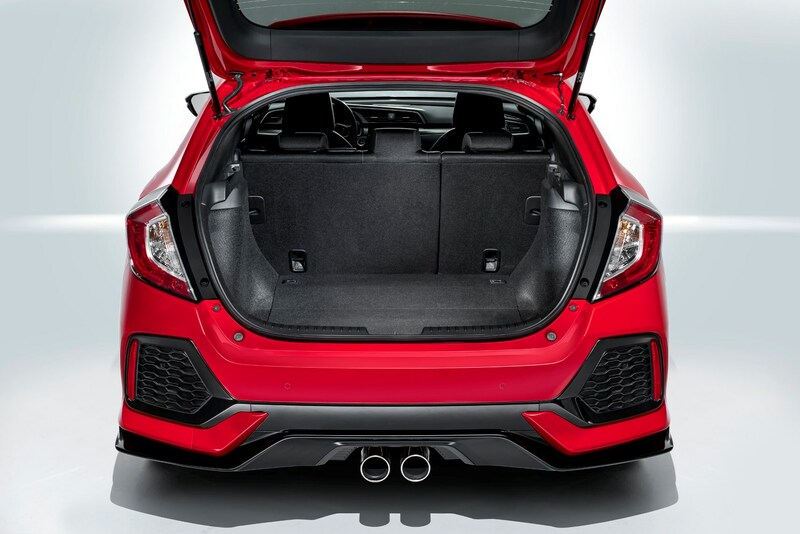 It rides with more compliance than the old Type R – and the Ford Focus RS for that matter even in Sport mode. You could also use ‘+R’ mode, for the firmest damping, heaviest steering and perkiest power delivery – but only on track, please. 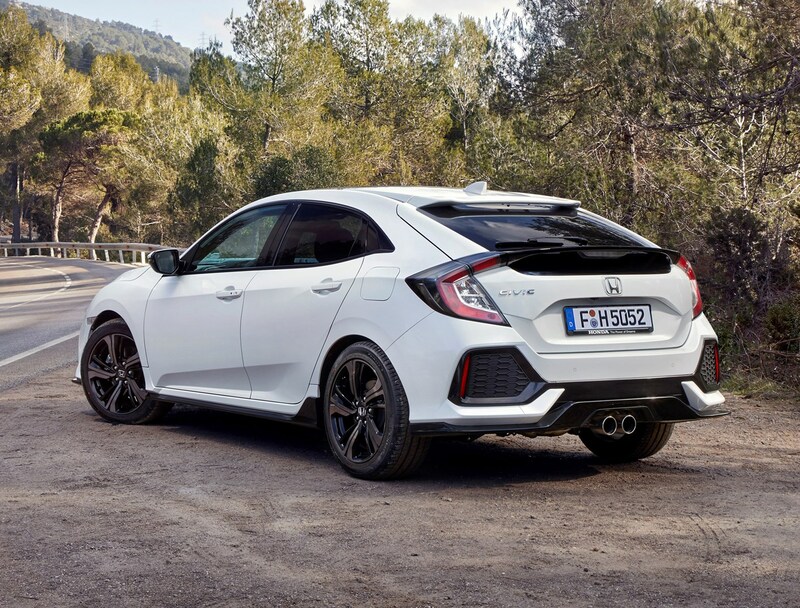 Performance isn't disappointing, even if it's only marginally quicker than the last Honda Civic Type R. It sprints from from 0-62mph in 5.7sec and tops out at 169mph. On the autobahn the new car feels absurdly fast. On UK roads, it always feels well within its capabilities – so much so that you might question why you've chosen this version. There’s some inevitable throttle lag from the compact turbo, but it’s well suppressed, and the engine still has an element of the revvy, slightly manic V-Tec character, although its engine note is quite dull in comparison with earlier Type Rs, and their sky-high rev limits. It’s very responsive, helped by a light flywheel and slender crankshaft, and even if there’s been ‘only’ a 10hp power increase on paper, it feels like more on the road. In short, it's one of the very best hot hatchbacks money can buy right now, even with those challenging looks. January 2017 – Tenth-generation Civic five-door hatchback available to order ahead of deliveries beginning in March. 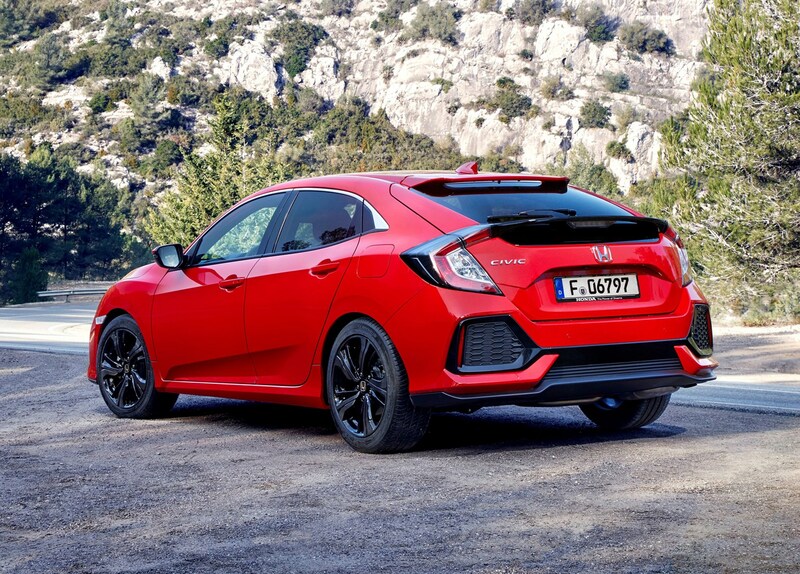 Two petrol engines are available from launch: a three-cylinder 1.0-litre known as the 129hp VTEC Turbo, and a four-cylinder 1.5-litre called the 182hp VTEC Turbo. 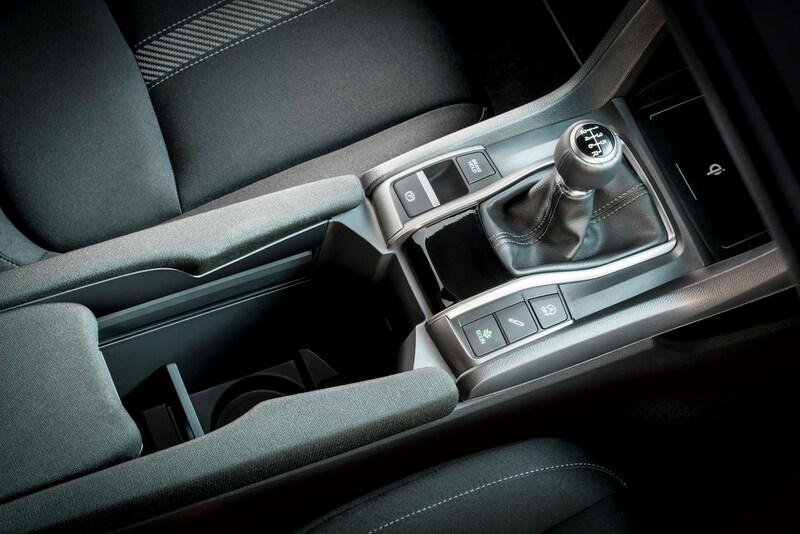 Manual and CVT automatic gearboxes are available with each engine. 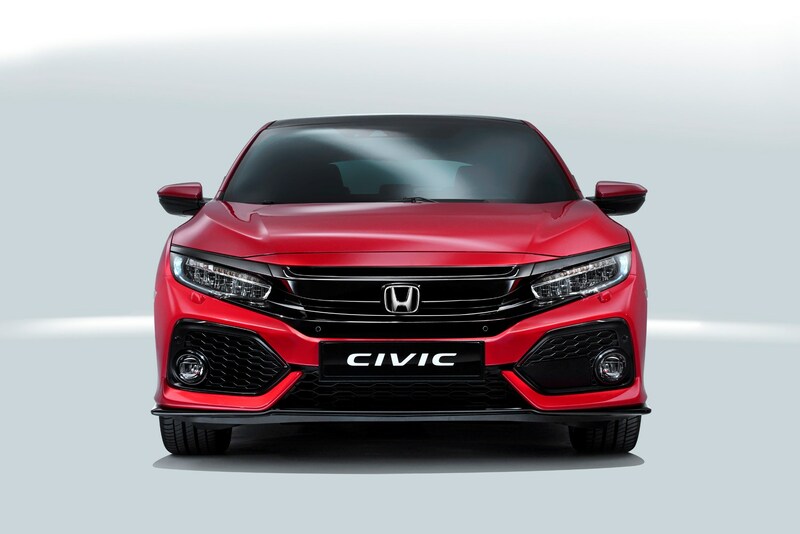 Trim levels are split between S, SE, SR, EX and EX with Tech Pack for the 129hp VTEC Turbo, while the more powerful unit is also available in Sport, Sport Plus and Prestige guises. 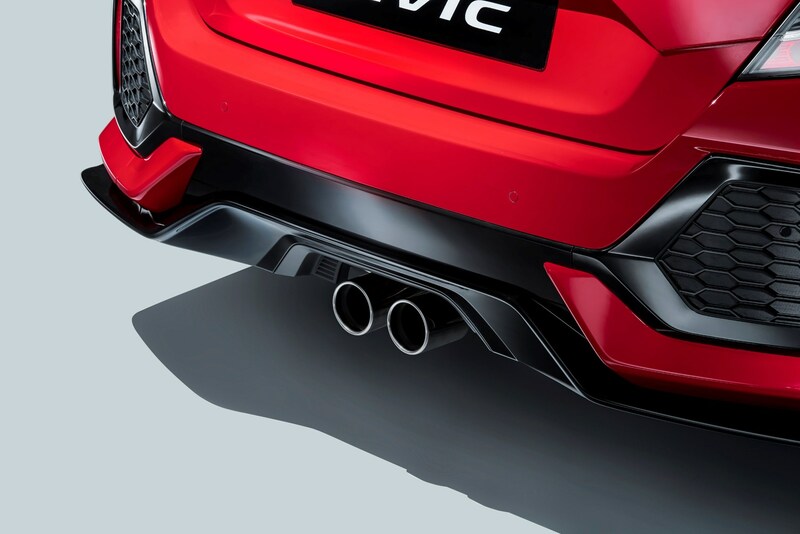 May 2017 – High-performance 320hp VTEC Turbo Type R versions of the Civic can be ordered in advance of deliveries commencing in July. 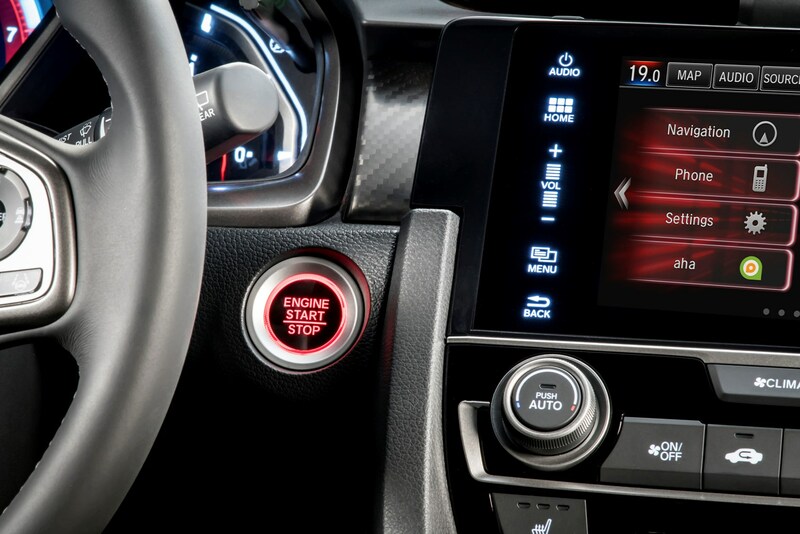 A six-speed manual gearbox is standard for both the Type R and Type R GT models. 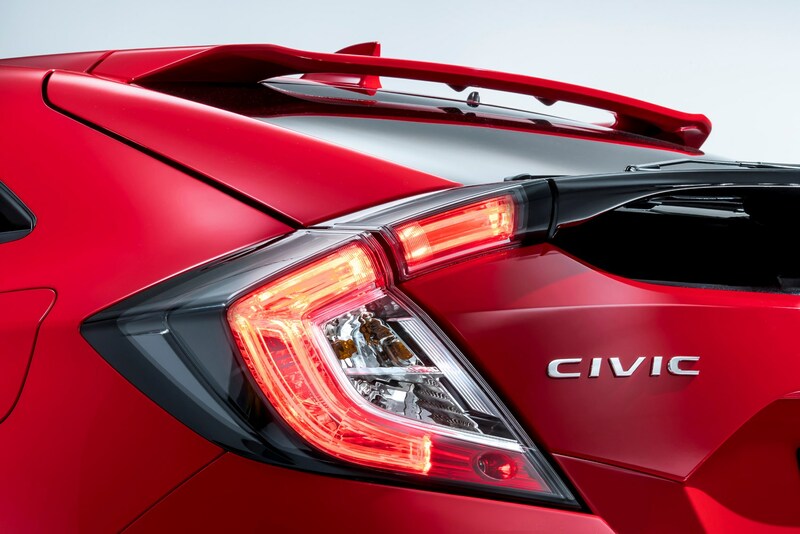 January 2018 – Civic diesel added to the range with 1.6-litre i-DTEC unit producing 120hp and 300Nm. Claimed fuel economy of 80.7mpg and CO2 emissions of 93g/km make it the cleanest in the range. Deliveries from February. 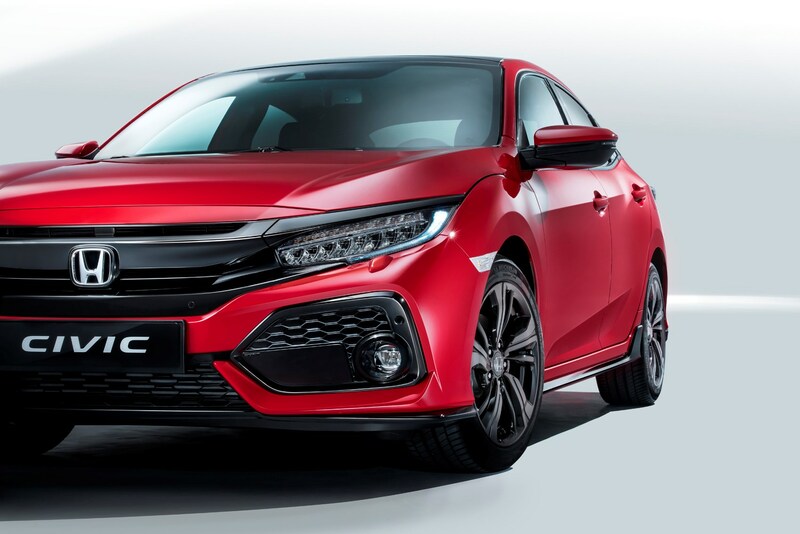 December 2018 - Civic Sport Line trim level introduced, available on 1.0-litre 129hp engine only, with choice of manual or CVT transmissions. Based on SR spec but adds a bodykit, red, white or blue paint and some neat interior options including sat-nav. Focus is on low PCP costs. Honda traditionally hasn’t been great when it comes to offering discounts, and with any new model, you can expect that to continue to be the case. So you'll be lucky to get any money off the Civic. Try to get some extra kit thrown in, though. Honda can call on its high expected residual values to offer some very competitive finance packages, though – and at launch, pushed the SE version in particular with some reasonable PCP deals. 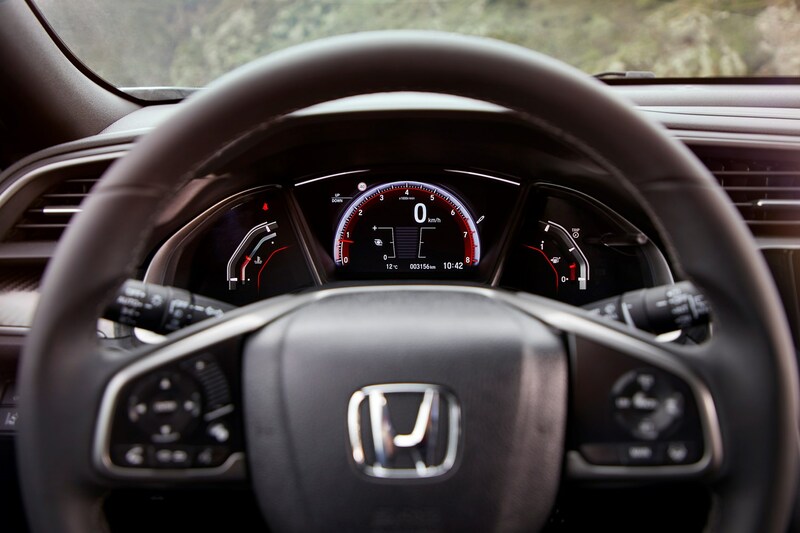 Check the Deal Watch pages for regular updates from Honda. EX trim offers a good range of standard equipment, while the 129hp VTEC Turbo should be enough oomph for most drivers. 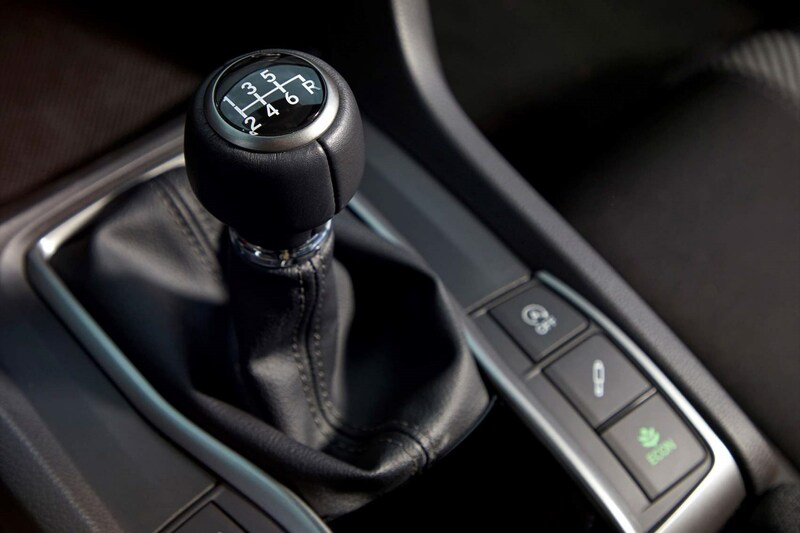 CVT automatic transmission cars will also be easy to sell on. 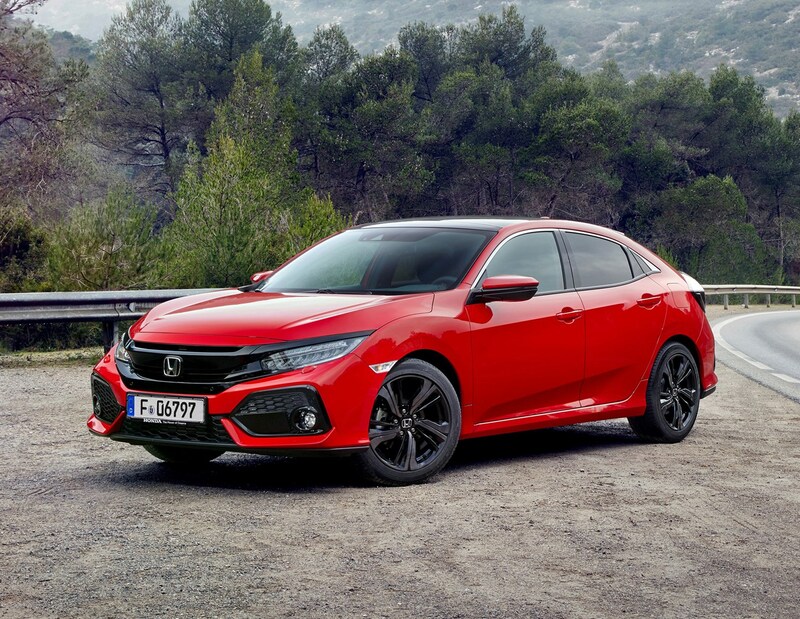 The Type R is an entirely different proposition from the rest of the Civic line-up, and will be sold in limited numbers due to its niche appeal. We expect a few special editions to appear over its lifecycle. Don’t be afraid to pick a bright-coloured one – potential buyers won’t be put off by a lairy paint job given the outlandish look of the car to start with. 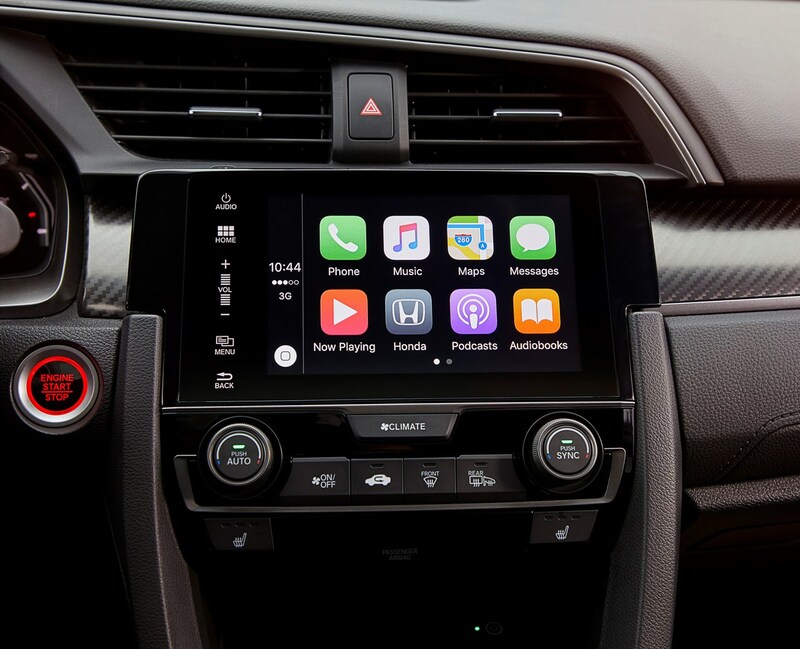 When the Honda Civic emerges on to the used car market, expect that its reputation for reliability combined with a very loyal customer base to result in higher than average prices. 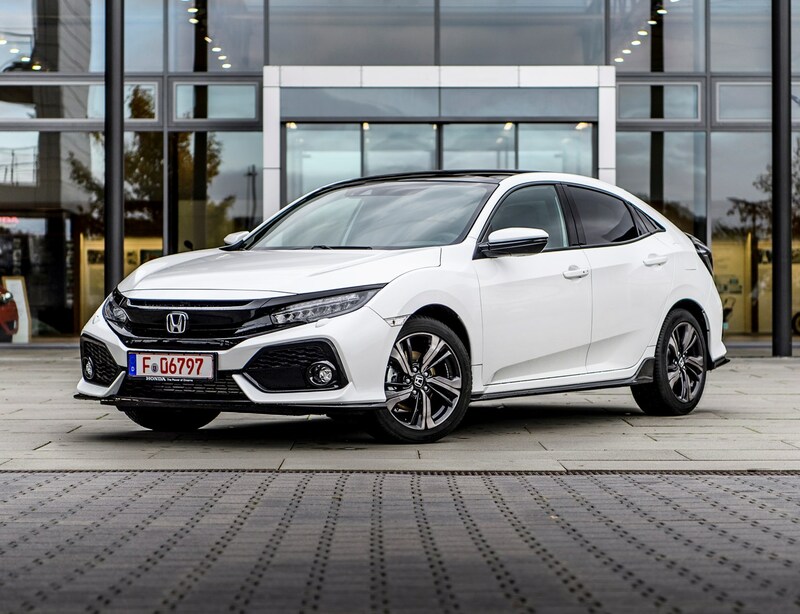 Honda is looking to increase Civic sales in the UK, and if this comes to pass, an increased supply may soften values – although it’s unlikely to prove the case. The 1.5-litre petrol models will probably be the most attractively priced (and best-equipped), so we’d recommend these as the best used buy, unless you’re a high-mileage driver who favours the lowest possible fuel consumption. Honda owners are generally fastidious, so finding one with great history will be simple. If you're looking at a Type R, take a close look at the tyres, brakes and seats for wear consistent with race track use - you'll want to avoid cars that have been thrashed, and steer well clear of modified ones too. We would recommend you get a Parkers Car History Check for any example you’re looking at. As with all Hondas, people buy with confidence here due to their reputation for reliability and strong brand values. 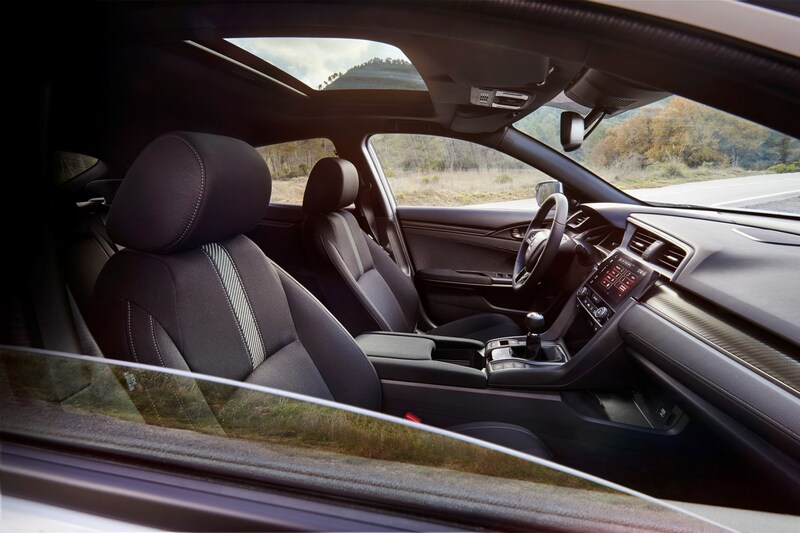 Although the Civic lacks the premium feel of the Volkswagen Golf and the sheer strength of numbers of the Ford Focus and Vauxhall Astra, it’s a popular, respected car that buyers go out of their way to look for secondhand. 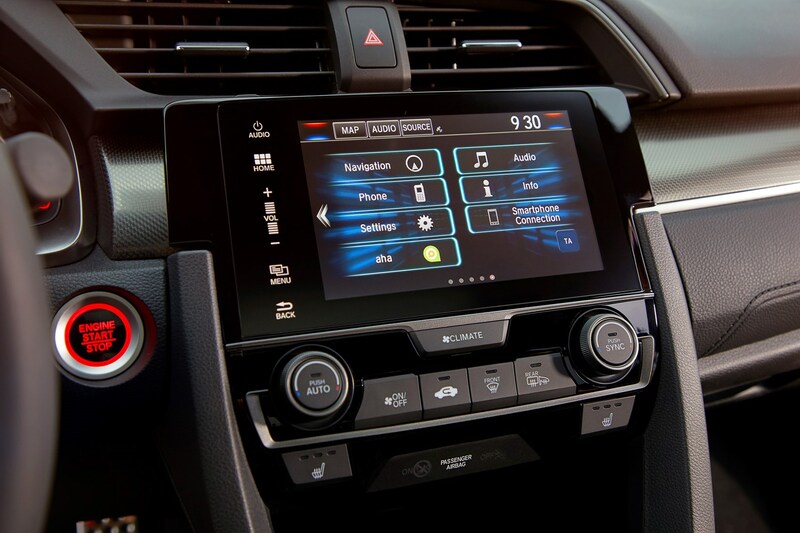 Most private Honda owners are fastidious and are unlikely to let service schedules pass by unnoticed. It'll be unusual if you find one without a decent history. As always, buy on mileage and specification. 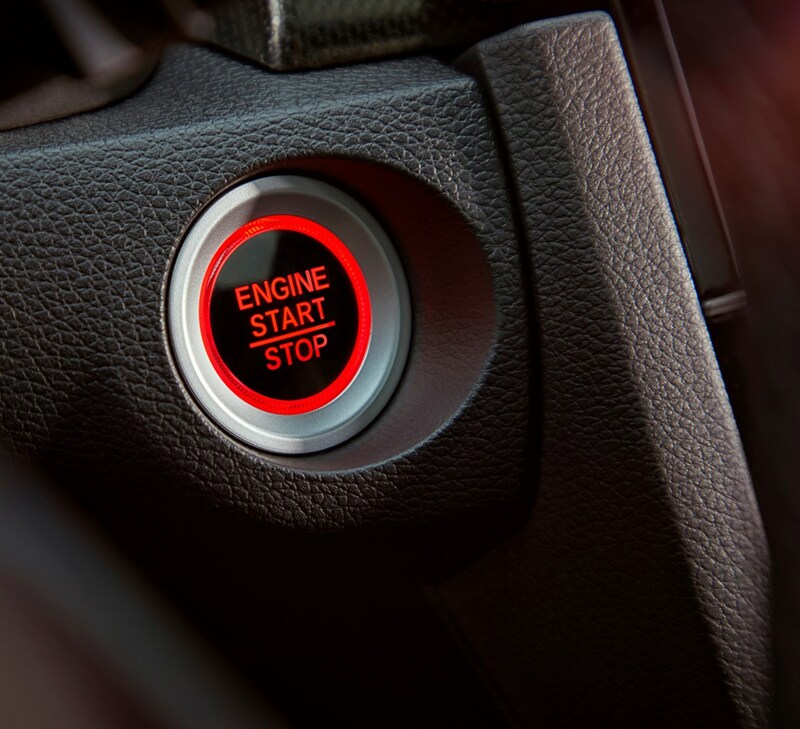 Although standard cars were well kitted-out when new, you can guarantee that a few well-chosen options will make it a whole lot easier to sell, come the time. Go for a good colour, and leather interior will always be easy to sell. 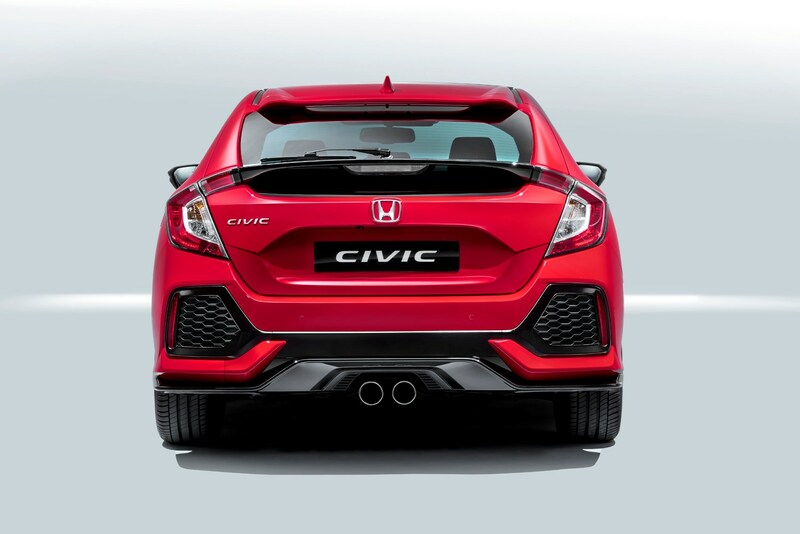 Civic Type Rs come in two trim levels, standard and GT. The better-equipped latter spec will be easier to sell on, yet owners will never be short of a buyer for the mad-cap Type R.
Grab a Parkers Valuation to find out exactly what your car is worth.